Check out my apps! You can download them on the iOS App Store. Pianist.playground is an interactive, colorful, song-packed piano. Play around and make some tunes! Need inspiration? Open the songs menu and select any bundled song to replay. Chain Five brings a fresh take on a classic card and board game mashup! Win by getting 5 of your color in a row. 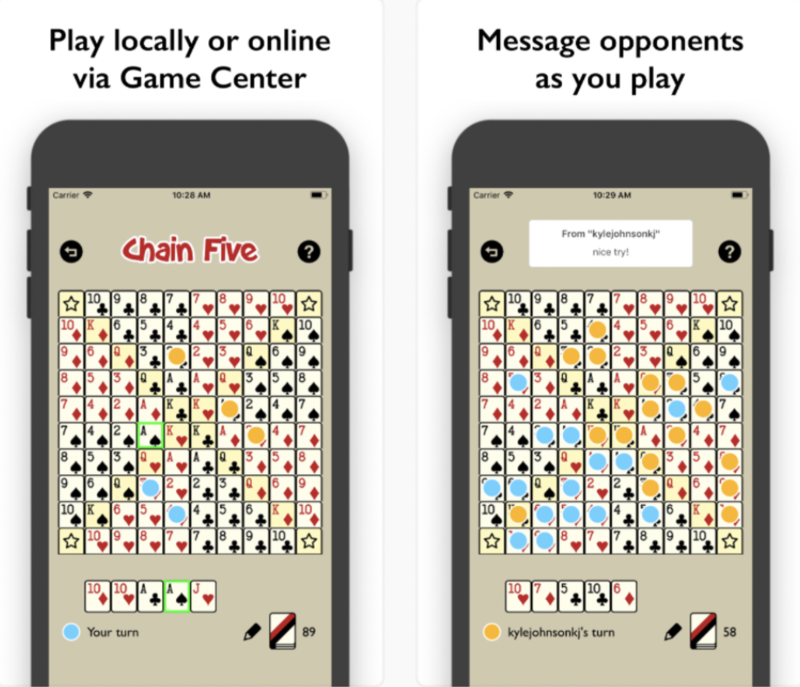 Play against friends online, or if nobody is around, play locally by sharing your device with others. Create your own art exhibition, powered by ARKit! One of the coolest things I experienced at WWDC was the introduction of native AR support, and this is a fun project I created with it. Written in Swift 4 for iPhone 6s and later. It's March Madness in a Swift Playground! Built using SpriteKit, this playground takes a fun approach on the classic arcade basketball shooter in just over 400 lines of code. Redirect the ball into the target, but it's harder than you think... Collect coins to purchase paddles. Unlock achievements. Rise on the leaderboards. Can you make it to 100? Shift Timer allows you to enter your shift hours and get a live-updating view of your progress throughout the day. See what percentage of work you've completed and how many hours, minutes and seconds you have left to go.